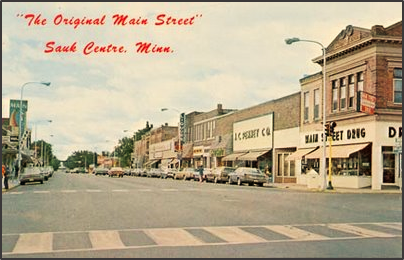 MAIN STREET CHARM welcomes you to Sauk Centre, MN, the boyhood home of Nobel Prize winning author Sinclair Lewis. Visit Lewis’ boyhood home and see how this area inspired Lewis to write the novel Main Street in 1920. 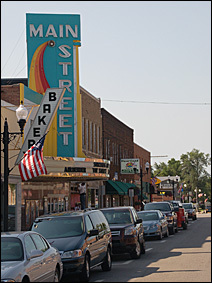 The term Original Main Street was created when the main street in Sauk Centre was recognized on the National Register of Historical Sights. Visit the Carnegie Library, a renaissance revival style on the National Register of Historic Places which also houses the Sauk Centre Historical Society Museum. So, after visiting Sinclair Lewis’ boyhood home and Museum to learn about the Sauk Centre that Lewis knew, stroll down today’s Main Street with its unique shops, restaurants and lodgings. Learn more at the Sauk Centre Convention and Visitors Bureau.